Matt is a devil amongst men. In ‘To Murder Matt,’ Matt was the most hated man on the planet. People around him wanted to murder him. He was abusive, mean and a downright nasty character that you prayed you would never meet. Here we read his story. We join him on his journey through life from his very first breath and we find out why he becomes a devil amongst men. Whatever you think you know about Matt, throw it out of the window, it’s wrong. You need to read his story. A twisting dark novel of grand passions, heart breaking love, betrayal, death, deceit and lies. Important. Suitable for readers aged 18+. Adults only. Contains sexually explicit scenes. 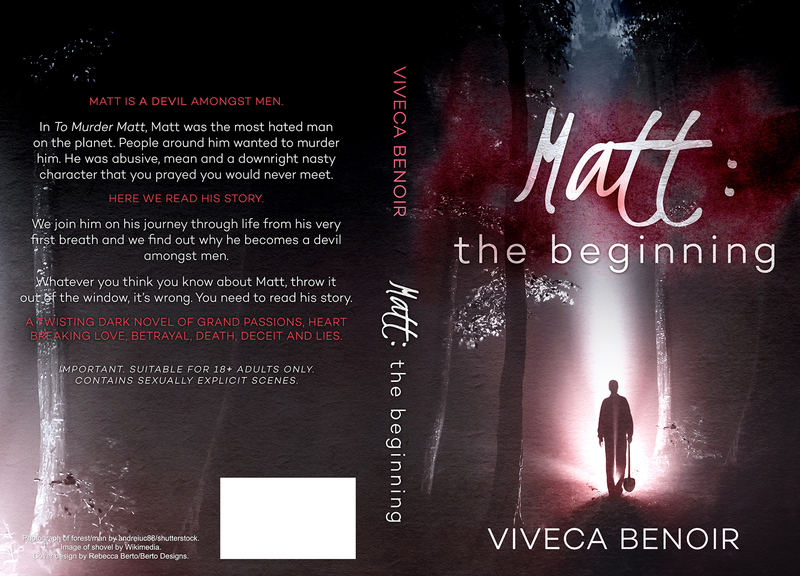 This entry was posted in Matt - The Beginning and tagged Books by Viveca Benoir, Cover reveal, Matt, Matt- The Beginning by vivecabenoir. Bookmark the permalink.